I've read a few books dealing with PTSD - some do a better job than others. I know many people with PTSD and it affects them all differently so I don't think there is only one correct way to portray it in books. The one wrong way is to say a character has it and make a big deal about them having it, but other than talking about it ignoring it. Sadly, Jennifer is still only on my wish list. What I like about this book is that Ryan doesn't "fix" the character but rather shows the ongoing journey. Yes, I have and I liked them. Very well said, Glenda. Glad to hear you're enjoying them too! Jennifer Ryan's books are captivating and enjoyable. I have read a few novels with PTSD and they are memorable. I didn't discover her until her print debut with Avon. I've enjoyed catching up with her stories. PTSD is a very topical subject. Quite frequently the real life stories don't have happy endings. I have enjoyed reading fictional PTSD stories that show that love and the right kind of treatment can create happy endings. I have enjoyed reading fictional PTSD stories that show that love and the right kind of treatment can create happy endings. 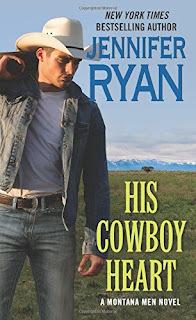 His Cowboy Heart is this type of book, Cheryl, and one of the reasons I so enjoyed it. I have read several books that feature PTSD. It is such a current topic and deserves to be better understood. I think these book help people understand how and why ti happens and that it is a very real problem. I agree, JC, especially when presented in the way it is in this book. 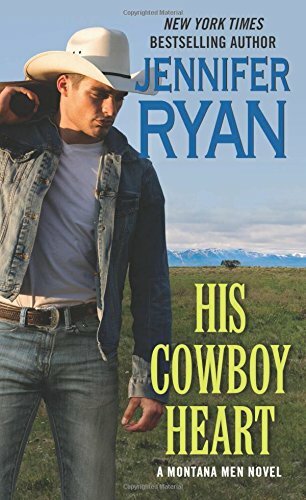 If you enjoy western contemporary romance with a thread of suspense, I recommend giving her a try. This is such a hard topic to write about. There is no quick fix for PTSD. So glad to hear this book has a HEA. I like to read an emotional book, but please leave me happy at the end. I will definitely try this author. Trish, it has a definite HEA with a hopeful future. I have read some stories which included people who had PTSD. The most interesting thing is most of these were historicals from the Regency period. I believe the reality is that PTSD has been a problem even when there was no diagnosis for it. And I think the treatment must be based on understanding no matter the time frame. And I think the treatment must be based on understanding no matter the time frame. I think I must have since I've read lots of stories featuring ex-soldiers and victims of crime and trauma. Even some historical romances have addressed the circumstance (tho they didn't have a name for it back then) - like in Mary Balogh's Survivor series. One of the twists I liked about this book is that the character suffering the PTSD is the heroine. In most of the books I've read, it's the hero. I just read Snowflake's Gife by Lindsay McKenna. Both the main character and the dog have PTSD. Interesting storyline. Liked the book!! I like McKenna's books. I'll have to check this one out. I have read a few with PTSD. One was about horse training and riding. I have not read anything by Jennifer but I added her to my wish list. I've enjoyed everything I've read by her so far. Hope you do too. I have read a couple of Rachel Gibson books about heroes with PTSD - Rescue Me and What I Love About You. Both excellent. Vietnam War. Unfortunately, I can't find them to give you the titles and authors. One deals with a nurse that was in the front line medical units. dShe is dealing, but it is getting worse. The hero works with an organization that works with military personnel dealing with PTSD. Good, realistic, and a nice different perspective. We usually read of those suffering from combat flashbacks. She is haunted by the faces and last minutes of so many young men, and boys, she couldn't save. In the other book, neither the hero or heroine has PTSD. He is in law enforcement and she a doctor out West. They are dealing with a community of homeless veterans that live in the forested mountains near town. Most are there by choice and many suffer from PTSD. It is a good exploration of the way these men are viewed and judged. Dealing with them takes special methods and the frustration of trying to change their way of thinking as well as the communities feelings towards them is well shown. All these books show different aspects of the problem, not just living with it, but dealing with it as a community and an individual. I have her Stone Cold Cowboy and the anthology Snowbound at Christmas. I enjoy her books. Never read a book with that scenario. I have read a few and enjoyed them.